Automatic easy-to-use one-step measuring technique. Measures blood pressure along with pulse rate. Have a keen understanding of your blood pressure. Color coded backlit LCD screen displays hypertension levels with clarity, plus everyone loves colors! Classify your pressure with visual ease. Designed for 2 users with individual easy-access buttons. Store 60 records per user and access your records at any time to track your progress. The BPM-50W conveniently calculates the average of your last three readings and displays them in the memory. Includes date and time memory recall. Wireless, compact and portable! Take this lightweight monitor anywhere, and better yet you can store this monitor anywhere. Convenience is key. Feel the pulse of health! The BPM-50W allows you to monitor your vital blood pressure and pulse rate readings while providing you with the knowledge you need to maintain and improve your health. This automation blood pressure monitor is equipped with 2 user storage profiles, which makes it easy to store and organize readings. Measurements taken are stored in the correct user's profile by simply pressing the user's number icon. Results of the measurements will display with the corresponding backlight color in accordance with the classification of the blood pressure by the American Heart Association. Measurements are taken through a fast and easy process using Measure and Inflate technology. The BPM-50W records up to 120 blood pressure readings, 60 readings per user, with date and time memory recall. It also calculates and averages your blood pressure based on the last 3 readings and detects irregular heartbeats and any arrhythmias. 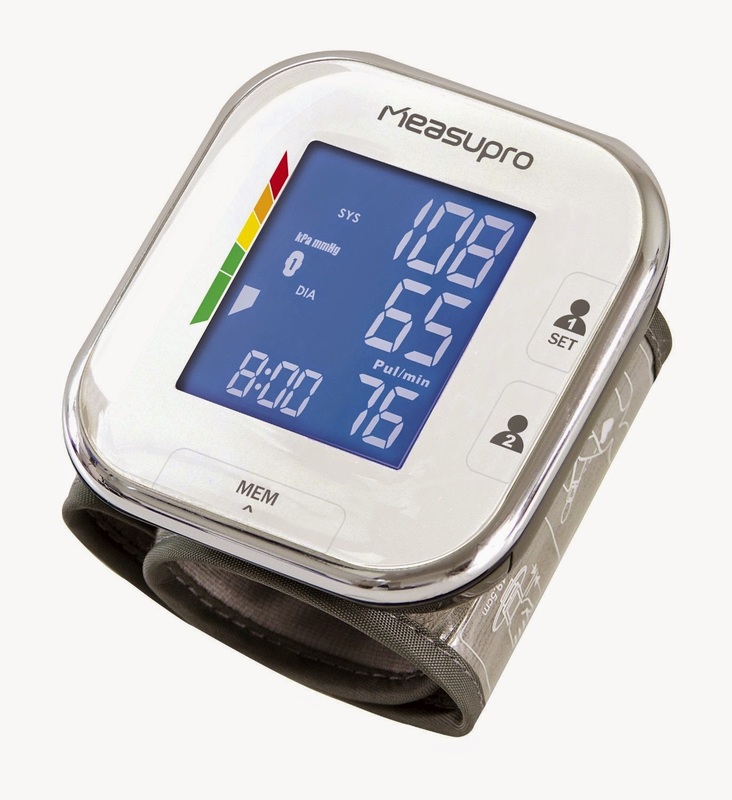 The MeasuPro blood pressure monitor ships with 2 AAA batteries (included), cuff fits wrist circumference of 13.5 cm - 21.5 cm, user manual. 2 year manufacturer's warranty included. 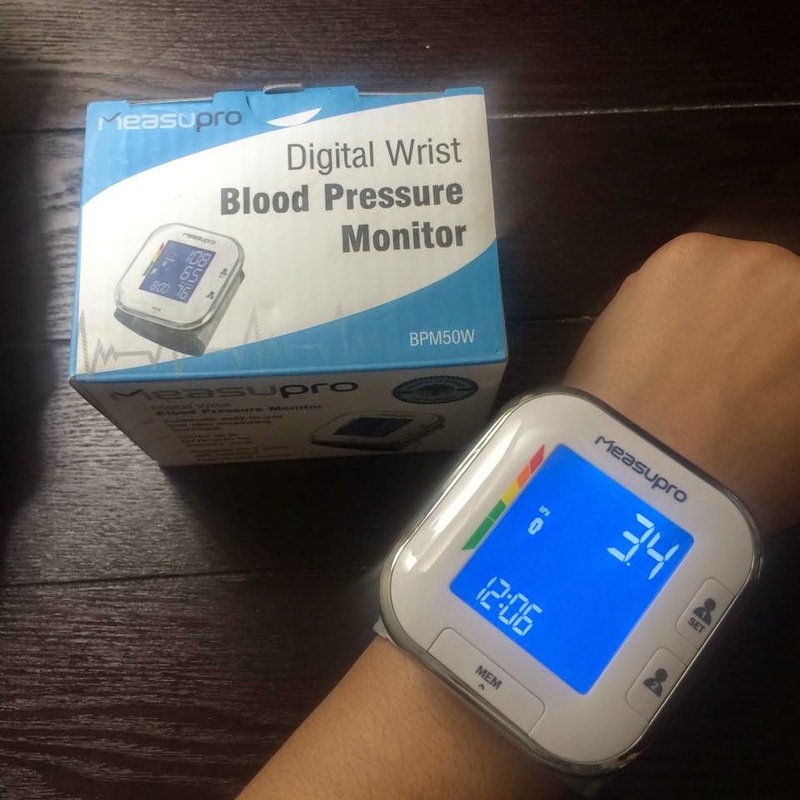 I was happy to get to try MeasuPro BPM-50 Wrist Blood Pressure Monitor. I have high blood pressure so this is something I have been using and I really like how compact it is yet the screen is big and the reading is large and easy to see. It is not heavy or bulky and it fits in my nightstand where I can get to it when I want to use it. I like that it remembers and keeps track of my readings so I can monitor what my blood pressure. 2 people can store their blood pressure readings and it is very easy to use. I like that it can keep up to 60 readings per person or 120 if just 1 person is using it. It is a nice way to keep track. I also like that it calculates the average of your last 3 readings so when I take readings in the same day, I can get the average. This is very useful to me. I also like that the monitor can detect irregular heartbeats. 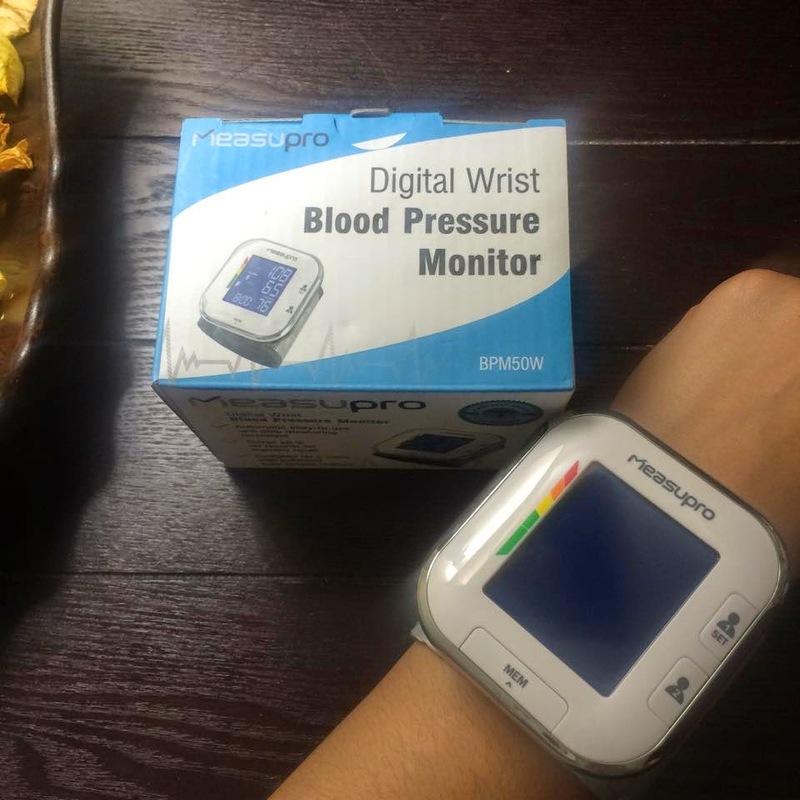 I like this handy BP monitor and I recommend it.